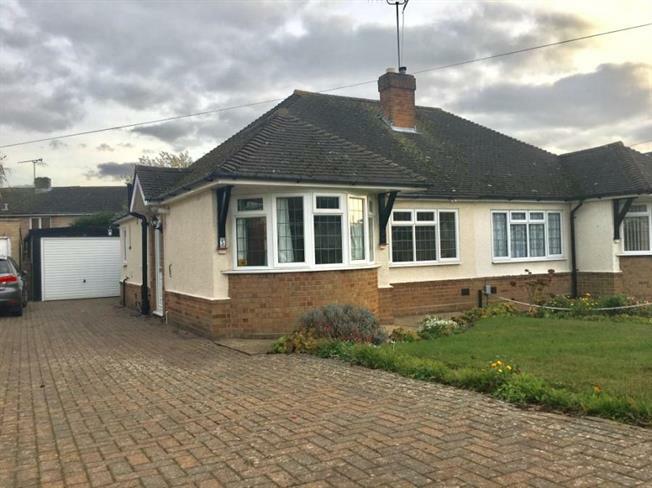 2 Bedroom Semi Detached Bungalow For Sale in Bedford for £319,995. A two bedroom semi detached bungalow occupying a cul-de-sac position within the sought after Georgian market Town of Ampthill. Features are numerous to include gas to radiator central heating, double glazing and a upvc double glazed conservatory, leading on to the secluded enclosed rear garden. The property is offered for sale with the added advantage of no upper chain. There is also a block paved driveway leading to a detached brick built garage providing off road parking.